Stephen’s career spans thirty-five years in Financial Services, the last ten of which have been in the Risk Governance and Compliance field. Until recently Stephen was Head of Risk and Compliance at Homeloans Limited, one of Australia’s largest publicly listed mortgage management companies. He is now the Compliance Support Manager at Connective Broker Services. Commencing his career with the Commercial Bank of Australia (Westpac) in Melbourne in 1981, he initially worked in International Trade before moving through a variety of roles within Westpac’s branch network. During the next 13 years Stephen was appointed to management roles in the areas of Regional Sales & Marketing, Branch Operations Management (Accountant), Branch Management and Business Banking. In 1988 Stephen was selected to join Westpac’s Senior Management Development program, which he remained on until he left the bank in 1994. Accepting a role as Relationship Manager with the Bank of New Zealand Australia (a subsidiary of NAB) saw him move away from mainstream banking into the area of mortgage securitisation, finance brokering and the deregulated world of financial services. In 1995 BNZA was re-branded HomeSide Lending and Stephen was appointed to the role of State Sales Manager (Victoria & Tasmania) responsible for third party (broker generated) mortgage business across the two States. 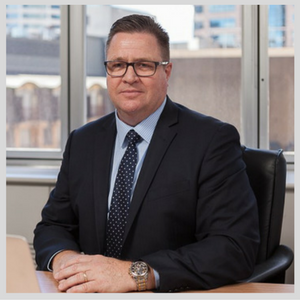 In October 2000 Stephen was appointed to the role of Head of Credit & Servicing based in Sydney, responsible for HomeSide’s Credit Bureau and Loan Servicing operations and a member of HomeSide’s Executive Committee. In 2003 he was appointed to the role of Head of Operations which added executive responsibility for legal operations, mortgage processing, client retention and technology. As part of this expanded role, Stephen took his first steps into the area of Risk Management when he established Homeside’s Risk and Compliance Department, effectively creating a dedicated Risk Management functionality for NAB’s Third Party Lending Division. 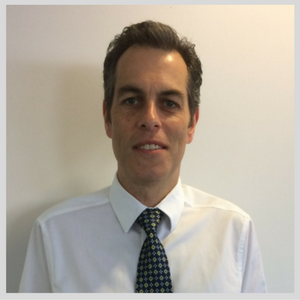 Stephen remained in this role until 2006 when he joined Homeloans Ltd as its Senior Manager Risk & Compliance. He was initially engaged to develop Homeloans’ Risk & Compliance framework necessitated by the increasingly changing credit and financial services regulations at the time. Over the ensuing eight years Stephen established Homeloans’ Risk & Compliance operations from the ground up, during a period subject to global financial instability, persistent regulatory change and rationalisation of the Australian financial services sector. In his previous role as Head of Risk & Compliance Stephen was responsible for risk governance and compliance across Homeloans’ five group businesses. He holds a Bachelor of Commerce (Business Law) from Curtin University, an Associate Diploma in Business (Banking & Finance) from RMIT University and a Certificate IV in Financial Services (Finance/Mortgage Broking). He is an Internationally Certified Compliance Professional, an Associate Member of the Mortgage & Finance Association of Australia (MFAA) and Chairman of the MFAA’s Mortgage Management Committee. In joining the Board of the GRCI, Stephen looks to advance the profile of the Institute across all sectors of the business community, provide a source of support and leadership to GRCI members and promote the ongoing growth of the Institute’s membership. For any enquiries contact Kelsey Clark here. 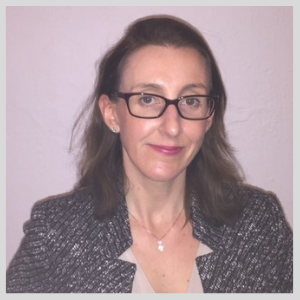 Susan is a governance, risk and compliance professional with extensive and diverse experience across the financial services and higher education sectors. She has also practiced as a lawyer at a commercial law firm and at ASIC. Susan is a 'certified' professional in compliance (CCP) with the GRCI. 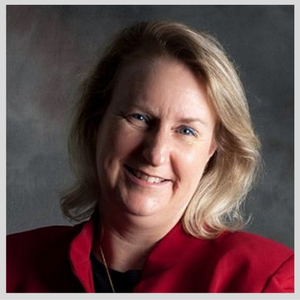 Elizabeth has worked in Compliance and Operational Risk Management in Financial Services for over 16 years. During her career she has worked in Risk Management positions supporting Institutional Banking Businesses (Specialised Lending, Transaction Banking, Markets, Relationship Banking) and Retail businesses (Branch Network, Consumer Deposit Products, Home Loans, Consumer Lending). In her current role Elizabeth is responsible for the global management of Regulatory and Prudential Compliance, Operational Risk, Technology and Information Security Risk, Business Continuity Management, Health Safety and Wellbeing across the Specialised Lending global footprint (Project Finance, Export Finance, Leveraged Acquisition Finance, Structured Asset Finance, Structured Receivables Finance, Syndications and Agency). Elizabeth has experience across a broad range of areas including Anti-Money Laundering, Sanctions, Privacy and Client Confidentiality regulation, Technology Risk and Information Security, Cyper Security, BEAR, Financial Crime and Occupational Health and Safety. She is passionate about monitoring the evolution of technology and the regulatory response to the related emerging ethical challenges - such as creating regulatory parameters for data sharing and Artificial Intelligence. 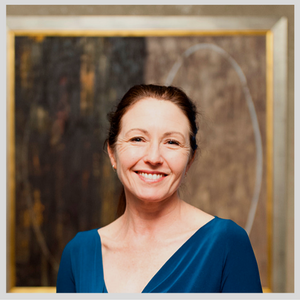 Elizabeth is an Admitted Barrister and Solicitor of the Supreme Court of New South Wales Legal (Honours) and has completed a Masters of Business Administration (MBA) and Commerce (Finance) degrees. Naomi is the current Managing Director of the GRC Institute. Based in Sydney Australia the GRCI seeks to be the preeminent association for compliance and risk management professionals in the Australasian region. GRCI was formed in 1996 by a group of professionals in roles undertaking compliance, a new role concept at the time. Over the following twenty years these dedicated individuals contributed to building a career pathway for themselves and their peers, which has evolved into an accreditation and education framework with options for those entering the profession and those desiring to increase their professional development. Working with compliance and risk management professionals closely over the past fifteen years and participating in numerous industry discussion groups looking closely at issues and tolls needing to be built, Naomi is passionate about the value of compliance and those undertaking the work to build and embed compliance frameworks in organisations. Part of her role with the GRC Institute is to advocate on behalf of members with their organisations, regulators and government to help them understand this inherent value and how to better achieve their desired strategic and operational outcomes by harnessing the talents, skills and knowledge of our GRCI members. Passionate about the potential contribution of not for profits in the broader setting of society and commercial markets, Naomi has completed a Masters in Community Management and this, combined with her business operations background, means she aims to work toward building the GRC Institute for a financial stable future while consistently delivering member value, adopting agile and technological solutions to delivering services, tools, events and professional development options to GRCI members. Heather Loewenthal is an independent governance, risk and compliance advisor who links ethics and compliance to behaviour and tools in organisations. She has over 25 years’ experience in banking and financial services. Most recently she was Global Markets Business Partner for Anti-Financial Crime at Deutsche Bank. Previous positions include Chief Compliance Officer for Barclays Pan-African businesses and Global Chief Compliance Officer for the ING Group. 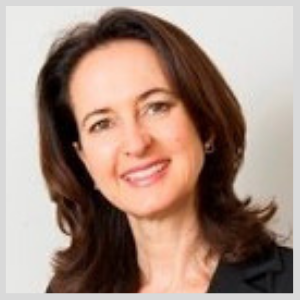 She initially joined ING in Australia where she was the Chief Risk Officer and General Counsel. Prior to joining ING, Heather held executive positions with other financial institutions with responsibilities for Australia, Asia and the United States. Heather has participated in numerous industry initiatives to develop the management of compliance risk and to embed ethics in daily business practice. Heather is Fellow of the GRCI. She was President in 2001 and 2002, was made a Life Member in 2003 and was a contributory author of AS 3806. She was a non-executive director of the Australian Finance Industry Complaints Service Limited (1999-2002), a government sponsored consumer complaints organisation, now merged with the Financial Ombudsman Service (FOS). From 2010 to 2012 she was a Member of the Audit Committee for European Network of Integrity & Compliance Officers (ENICO) now merged with Institute of Business Ethics (IBE). She is a Fellow of the Australian Institute of Company Directors and holds an LLB and a BSc (Psych) Hons from the University of New South Wales and is a solicitor in NSW. 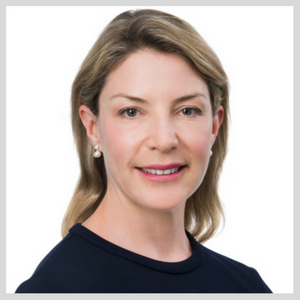 Alison Telfer, Director is General Counsel and Head of Compliance for BlackRock Australia & NZ and a member of the BlackRock Australian board and executive committee. Ms Telfer joined Blackrock in September 2013. Prior to this, Ms Telfer held various senior positions over more than 9 years with Challenger Financial Services, initially in the position of senior legal counsel and later as Director, Specialised Product. 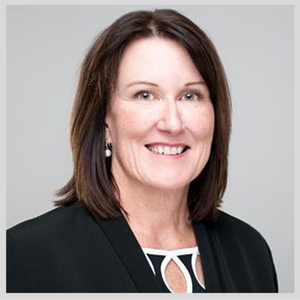 Prior to joining Challenger Financial Services, Ms Telfer held the position of Senior Associate with Blake Dawson Waldron, focussing on asset management and prior to that, Mallesons Stephen Jaques specialising across a number of areas including tax, intellectual property and asset management. Ms Telfer holds a BA (communications)/LLB from Macquarie University and is admitted to practice as a solicitor in NSW. Craig is a risk and compliance professional with 15 years in the field, all gained within banking and financial services. He is currently Chief Compliance Officer (and AML Officer) for Toyota Finance where he also sits on the Global Compliance Group. Previous management roles in Compliance and AML have included roles at HSBC, RBC Capital Markets, Westpac and IAG. Craig holds postgraduate qualifications in Compliance Management, AML (two) and Applied Finance, together with a Masters in Professional Ethics from UNSW. He is a ‘certified professional’ in risk (CRP) and Compliance (CCP) with the GRCI, and in Insurance (CIP) through ANZIIF. He also holds accreditation with various overseas bodies including ICCP and the ICA. Areas of specific interest and expertise include compliance frameworks, culture and metrics, bribery & corruption, conflicts and other conduct risks, and governance and ethics. 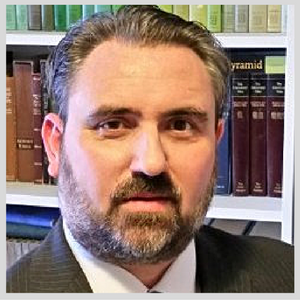 Craig has been an active member of the GRCI since 2003, and is proud to serve as a Director on behalf of all members and GRC practitioners. He is particularly keen to see GRC continue on its journey as a valued standalone profession, and looks forward to working with his fellow Directors and Institute members on achieving this goal. Peter is a generalist who’s managed compliance and non-compliance functions for many years. His experience spans operations, IT, distribution, legal and professional publishing, and, of course, compliance, which he came to by accident, setting up a complaints function and shortly after that a product compliance one too after moving to Auckland with AMP in 2009. His current role is a broad one, managing adviser and regulatory compliance for AMP Financial Services NZ. That involves overseeing QFE obligations for one of the most complex QFE structures as well as ensuring compliance of licensing including Managed Investment Schemes, Discretionary Management Investment Services, and Insurance Prudential Supervision, plus managing AML/CFT delivery and owning the second line in AMP's three lines of defence. Peter is strongly encouraging of continued personal and professional development and sees too many workers focus on outputs and not on their development. Putting this in to practice for himself his more recent development has been completion of the PGDip in Information Management and maintaining CPD requirements as a Member of the Institute of Directors. In joining the Board of the GRCI, Peter seeks to mutually improve the GRCI and its New Zealand members’ outcomes by improving GRCI’s ongoing relevance to New Zealand compliance professionals. Graeme is a senior executive with extensive experience in the financial services industry. Graeme has most recently established a successful financial services specialist consulting business operating as a sole-trader. Assisting independent operators in matters of licensing and establishment of risk management and compliance frameworks, he has worked with a number of Perth’s leading organisations. Prior to that, Graeme was the Risk Compliance & Audit Manager for five years at a WA member based organisation (T/O $80M) reporting directly to the Audit & Risk Committee. And prior to that he was the Chief Executive Officer for a WA based company responsible for funds management, administration and trustees services ($1.3 billion of funds under management and revenues of $25 million). He has been Company Secretary for public companies for over seven years, participating in all Board meetings and processes, strategy setting and decision making. 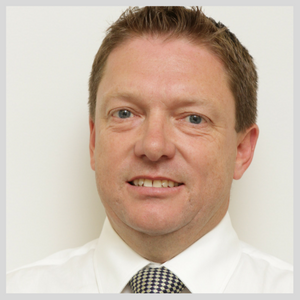 Graeme has previously been a Director of the Governance Risk & Compliance Institute back in 2007. Graeme was nominated as a life member in 2013. Graeme has been a member of the Australian Institute of Company Directors since 2000 and he completed the AICD Director Course in 2002. He was on the state executive of the Association of Superannuation Funds of Australia for a number of years. Graeme is keen to assist the GRCI to reconnect and grow its membership in Western Australia and to ensure the GRCI remains the leading institute that compliance professionals turn to for guidance, development and networking opportunities.